This Mediation Monday comes to you on Tuesday, because I spent yesterday at the opening rally of the Poor People's Campaign 2018 on the grounds of the US Capitol. 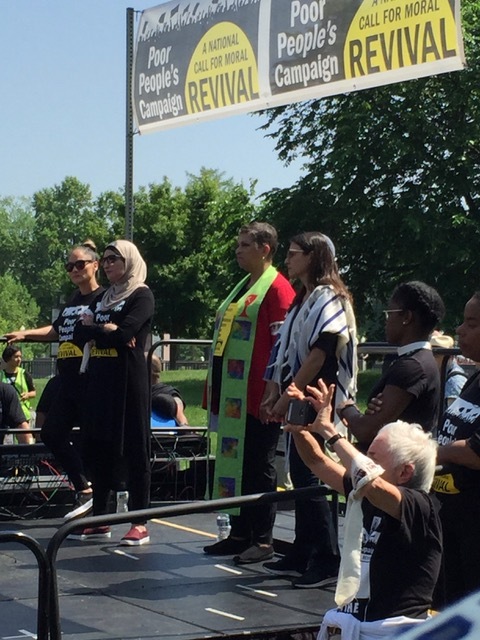 At that same time, similar rallies were held at over 30 state capitals around the country in which people of faith raised their voices to call our national and state legislators to address the interrelated issues of systemic poverty, racism, war, and environmental devastation. Similar calls for national action were made 50 years ago as part of the original Poor People's Campaign of 1968 which Dr. King was helping to organize at the time of his assassination. The fact that we need to address these same concerns 50 years later reveals the tragic consequences of poverty that impact millions of people, especially women and children in the richest nation on earth. At yesterday's rally, I heard the testimonies of two women whose children died as the direct result of poverty. They represent thousands of others whose voices go largely unheard by policy makers who are disproportionately influenced by campaign contributors rather than constituents' needs. In the face of this tragic reality, I also experienced signs of hope. 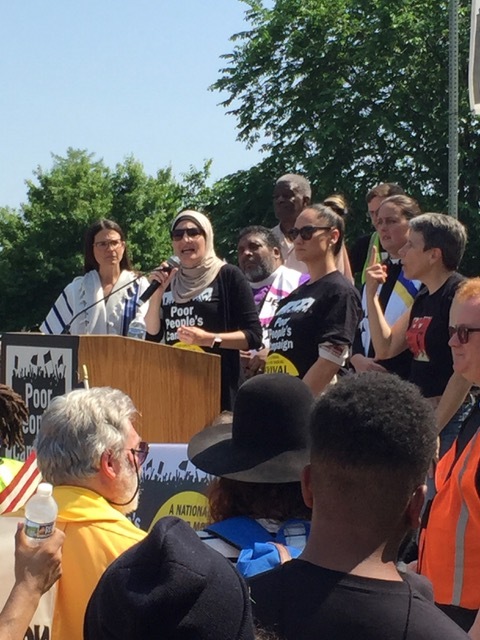 At one point in the rally, three women faith leaders representing Christianity, Judaism, and Islam stood side by side and raised their voices to testify to God's special concern for the poor that is central to all three faiths. The Poor People's Campaign of 2018 will go on for 40 days. I ask for your prayers for the ongoing ministry of the Cornelius Corps in general and for my engagement with the Poor People's Campaign in particular. Through your prayers and actions, I also hope that you will be part of the great cloud of witnesses calling for economic and racial justice for all God's children, especially the millions who suffer in poverty. The pictures posted below are from yesterday's rally in DC.